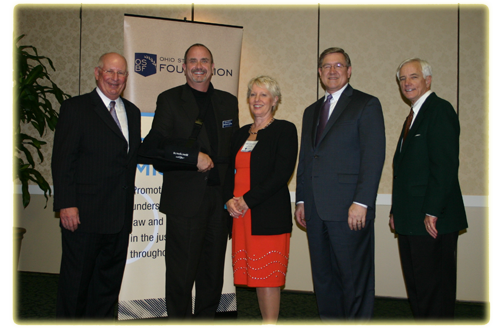 Browning & Meyer Co., LPA partner, Richard Meyer was inducted as a fellow into the Ohio State Bar Foundation in May 2011. From left: Justice Pfeifer, Richard Meyer, Justice Lanzinger, Justice Cupp, Justice O’Donnell. The Ohio State Bar Foundation is the charitable arm of the Ohio State Bar Association. We are driven to improve public understanding of the law and build a better justice system. New Fellows champion a project addressing a specific legal need each year, and our partners and friends support our goals in numerous ways.